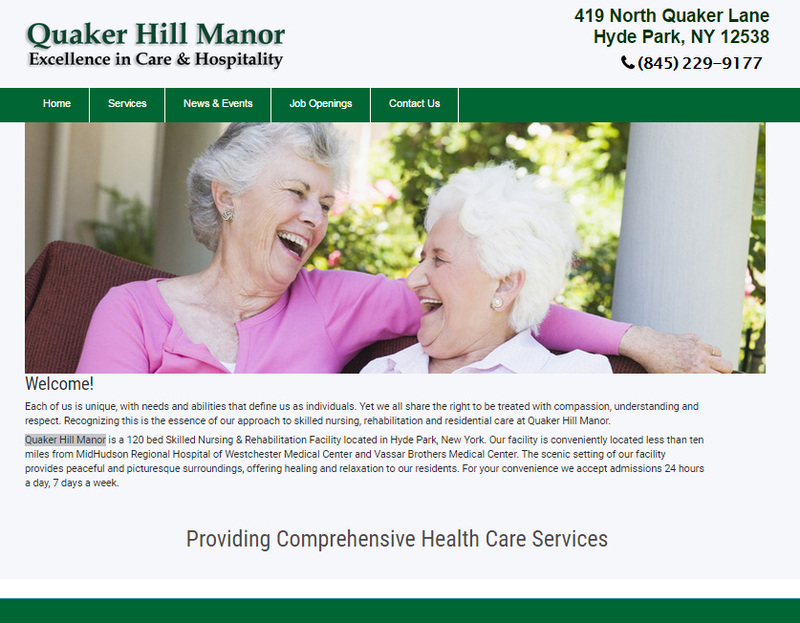 Quaker Hill Manor is a 120 bed Skilled Nursing & Rehabilitation Facility located in Hyde Park, New York. Our facility is conveniently located less than ten miles from MidHudson Regional Hospital of Westchester Medical Center and Vassar Brothers Medical Center. The scenic setting of our facility provides peaceful and picturesque surroundings, offering healing and relaxation to our residents. For your convenience we accept admissions 24 hours a day, 7 days a week.